These have to be one of my favorite street food snacks in Istanbul lately - taze badem (fresh almonds). 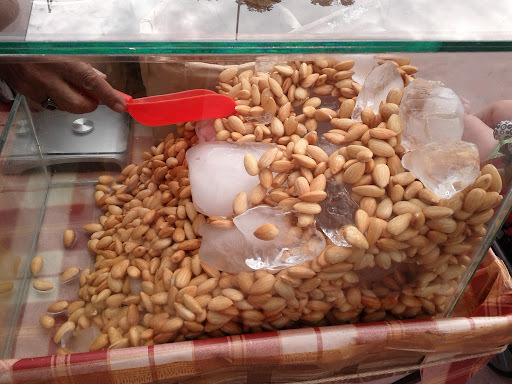 An older Turkish gentleman sells these fresh and chilled almonds (look at the chunks of ice in the photo) near the iskele at Kabatas. The flavor of these badem remind me of how almond milk tastes. A few weeks ago, the vendor even showed me how to eat them. You put an almond between your fingers and squeeze so the brown peel slips off and you're left with the milky white flesh to put in your mouth. Cok guzel! We love them too. 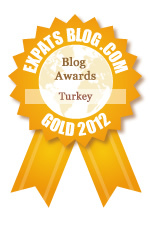 We just picked up a couple of kilos on the way to Cappadocia on Monday. Our first time to buy almonds from the roadside stands. A couple of kilos? WOW! How many people are you feeding? =) I am returning to Cappadocia with some US friends in about 2 weeks as well.